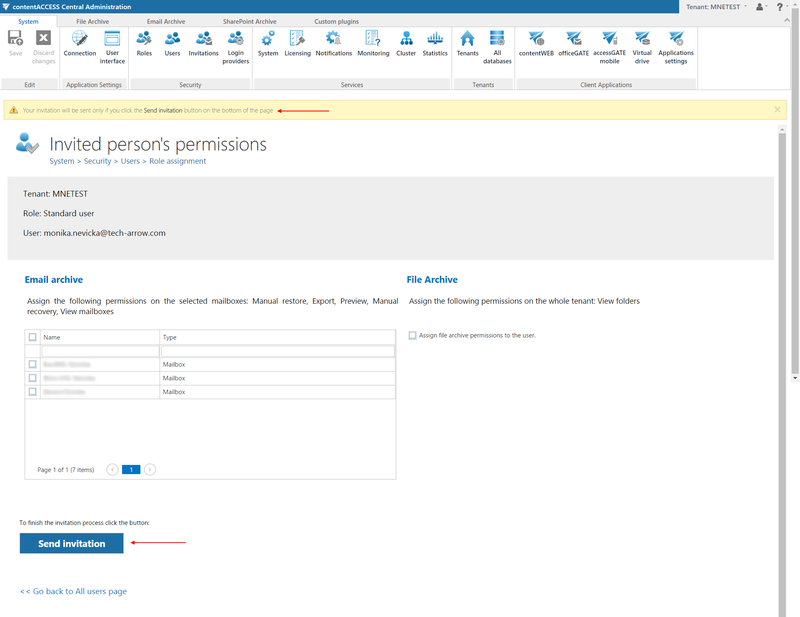 already existing users (with certain roles/permissions) to contentACCESS. 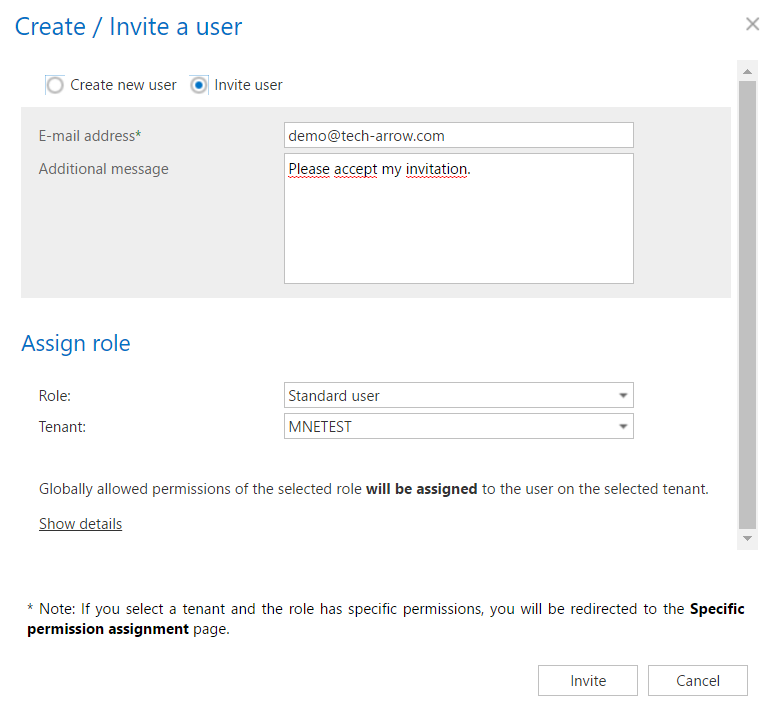 To send an invitation for an already existing or potential contentACCESS user, click the “Invite user” option in the Create/Invite user dialog. Further fill the email address, where the invitation will be sent and select the role that should be assigned to this user. b) If the role contains specific permissions (read more in section Defining specific permissions of a role assignment), the Save button is not active, but is replaced by the Invite button. 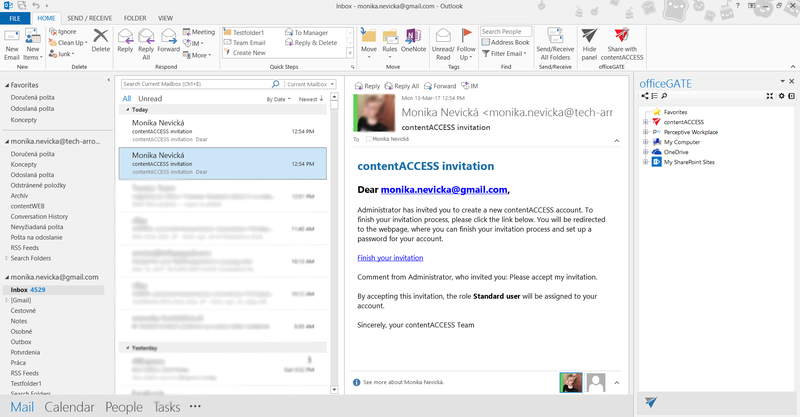 The invitation is sent when the user clicks the Send invitation button. 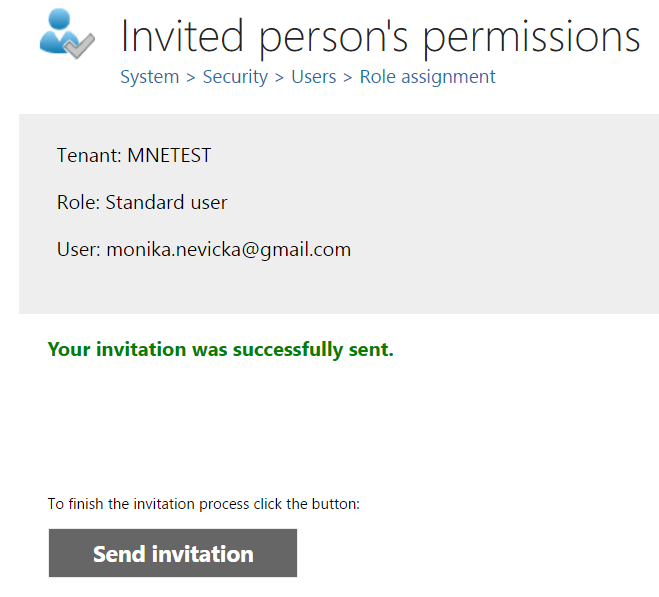 After clicking the Send invitation button, the user is notified that his invitation was successfully sent. 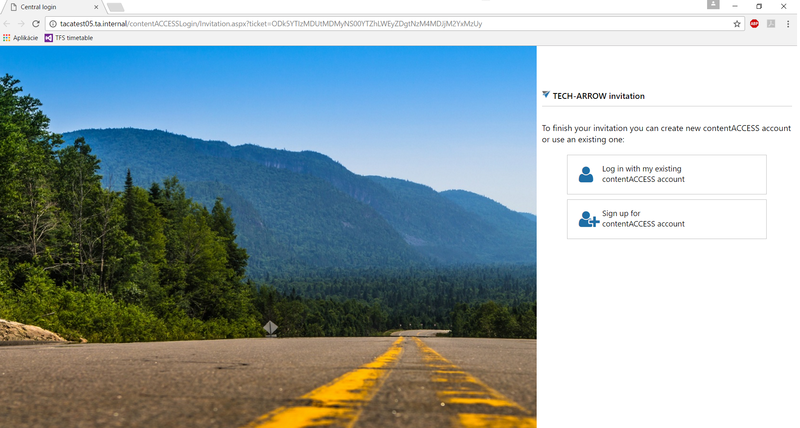 After the notification job has run, the invited user gets an invitation message, that he was invited to contentACCESS. To accept this invitation, he clicks “Finish your invitation”. After successful login, the new user is created / the respective role defined in the invitation will be automatically assigned for the new/existing user. The context menu option of the respective invitation allows to delete it from the list or to resend it, if it was not accepted yet.